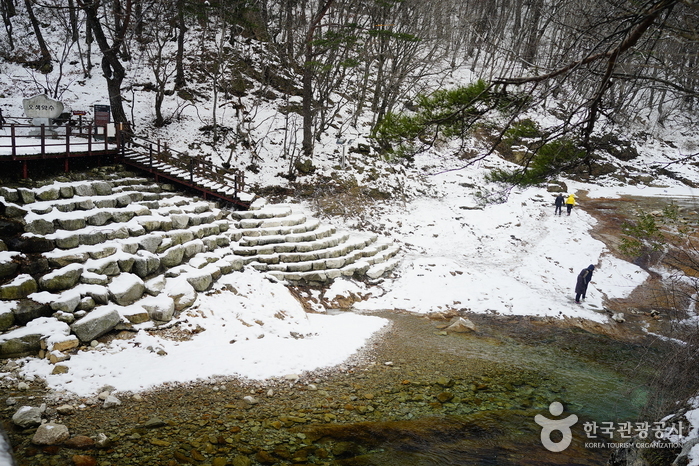 Osaek Mineral Spring is situated 20 kilometers west of Yangyang and 7.5 kilometers southeast from Hangyeryeong. 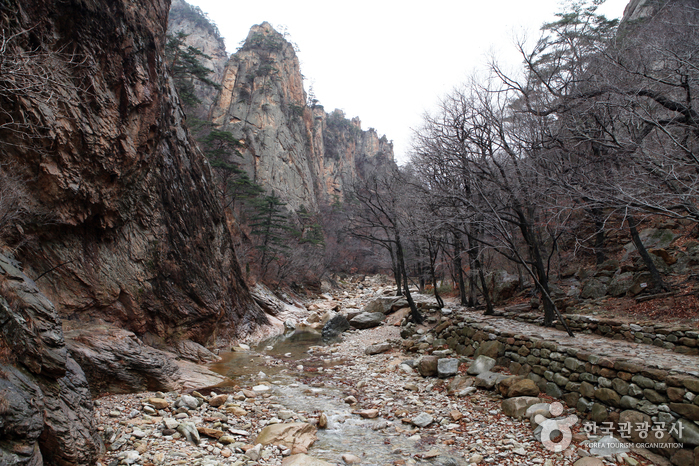 The water, which springs from three base rocks by a brook, is carbonated and rich in iron. 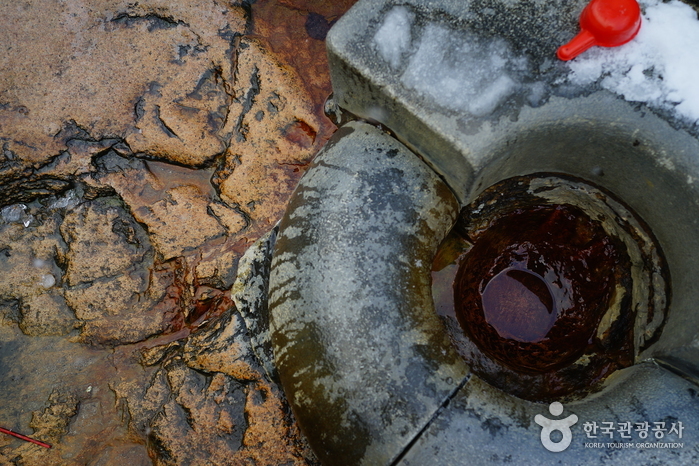 Up to 1,500 liters of iron-rich water spring out on a daily basis. 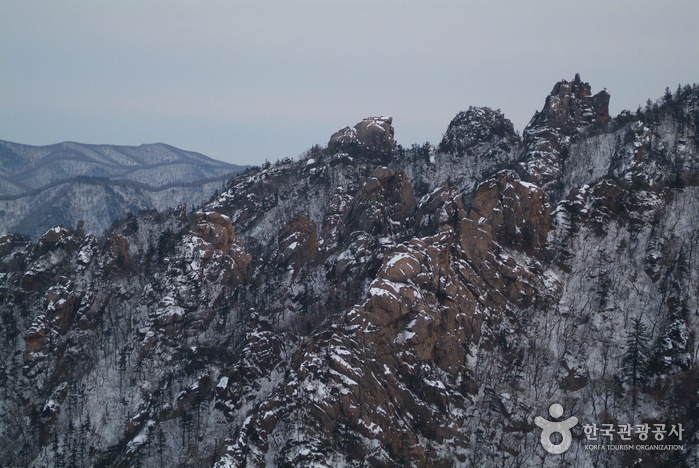 Osaek became well known due to the splendid landscape leading up to the mineral spring and its location on the way to the summit of Seoraksan Mountain. 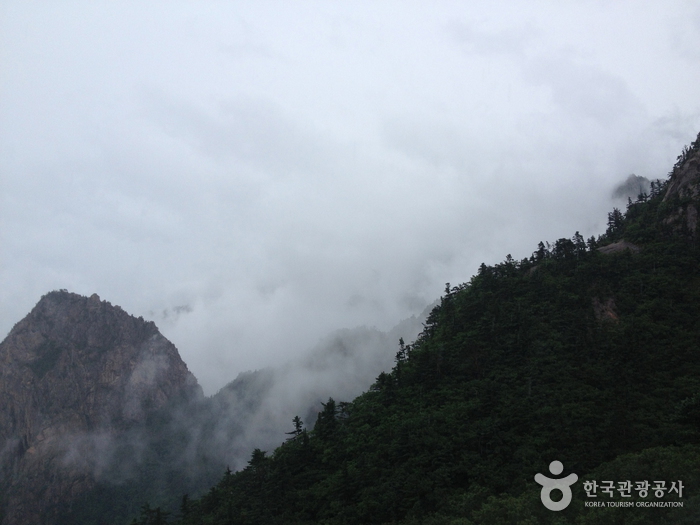 * Mountain not access period is subject to change, therefore we advice you to check the details on the official website. 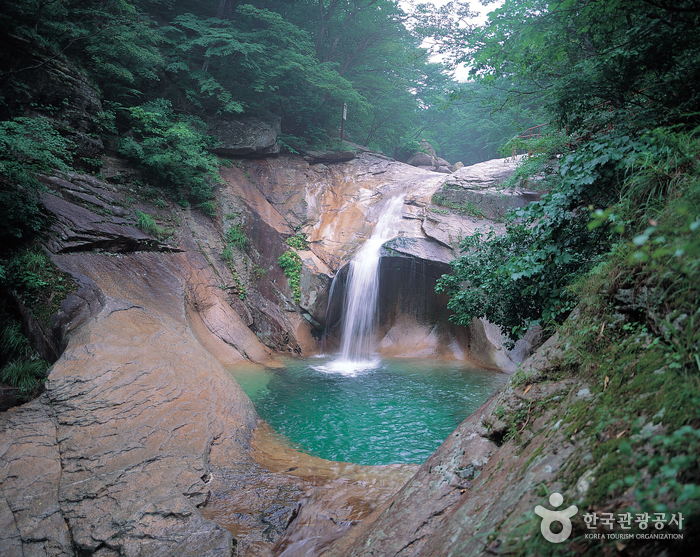 From Yangyang Bus Terminal, take a local bus bound for Osaek Mineral Spring.